Before you think you have stumbled onto to the wrong blog or that we have gotten too frisky for ourselves, we are talking COFFEE! Yes, that morning cup of liquid happiness that many of us start our day with. We have both been blessed with the opportunity to travel abroad to places such as Spain, France and Italy where “café” can truly taste heavenly. We wanted a coffee that had that richness, body and “pow” but that could be brewed at home and didn’t require a flight or trip in the car! Donna roamin’ with Taylor or should that be “Roman”? 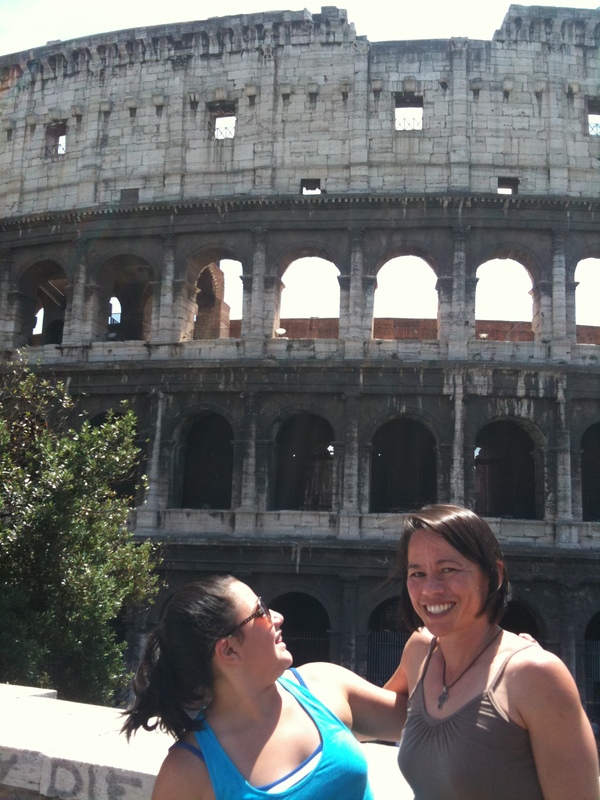 Italy had some great coffee bars for sure! As many of you know Daniela and I personally try all of the products we sell and only put the best of the best on our website or in our kiosk located at Oconee Interiors. We attend trade shows, obtain samples (primarily at our own expense) and do endless product research to bring you the very best so you don’t have to invest your time and money trying to figure out a “better and healthy” alternative in your quest for health. Nothing like a great cuppa joe! So after several months of interviewing and sampling both organic house and custom blends from 8 different boutique coffee roasters we finally have a coffee that is so delicious and wonderful that we put the Organic Housewives name on it! It is a very time-consuming process but one that is worth it. The coffee is now available for sale! It can be ordered online at www.organichousewives.com or picked up in store at Oconee Interiors in Lake Oconee. We would love for you to stop by for a free sample at Oconee Interiors and you can taste for yourself what we are talking about! We feel confident that it lives up to the hype. We have four blends to choose from. 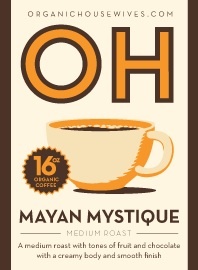 Mayan Mystique is our medium roast blend which has tones of fruit, caramel and chocolate with a creamy body. Kafe Sutra is an espresso roast made with coffees from Indonesia and South America with a deep rich aroma and full body. 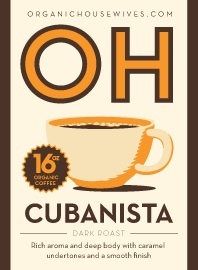 This blend embraces the heady aroma, sweet undertones and deep-bodied coffee flavor of Cuba. Organic Decaf is a medium dark roasted decaf with a note of chocolate, smooth body and a creamy walnut finish. You will feel confident knowing that you are drinking a great tasting coffee and one that is good for you too! Make today and every day a great one! Are you or your loved one a little cranky or sluggish first thing in the morning? Well we have a tasty smoothie recipe that will not only give them a pop of energy but has enough protein to give them “staying power” throughout the morning so they aren’t hungry! This is also a great starter smoothie for those who are just getting introduced to healthy smoothies. 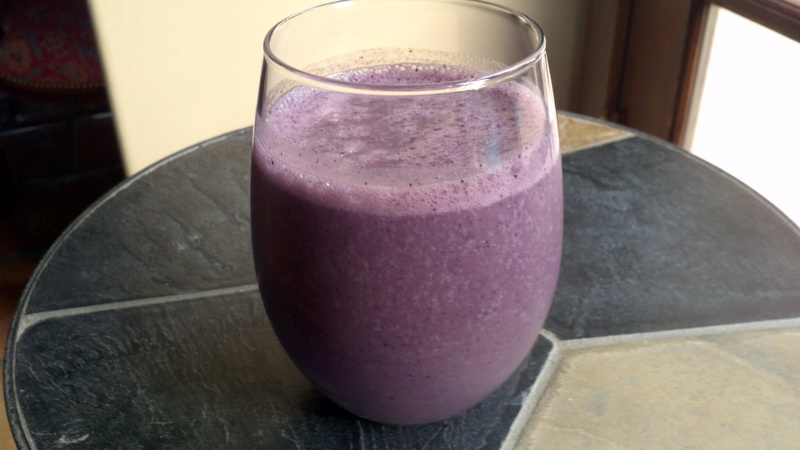 There is an antioxidant punch from the berries, potassium and creaminess from the banana and complete protein branch chain amino acids from the protein powder! 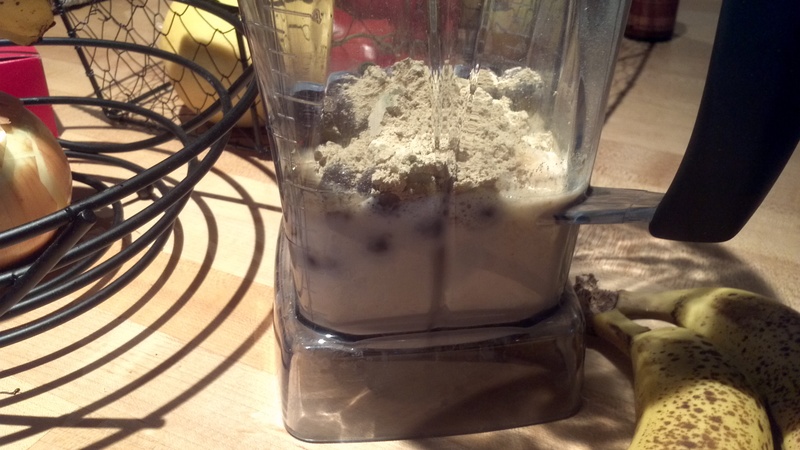 Place all ingredients and “add-ins” into a Vita-mix or strong blender and blend for one minute. Pour into a tall glass or mug for breakfast on the go!